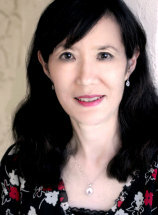 I am attorney Jane Park, and I established my law firm, the Law Office of Jane Park, in Daytona Beach, Florida, with a mission to provide the highest level of representation and support possible to those dealing with complex, emotional legal challenges that affect their lives and families the most. When dealing with matters that will affect you and your family for years to come, you want a competent, compassionate lawyer on your side to help protect your rights and interests while increasing your chances of obtaining the favorable outcome you seek. I have strong working relationships with many of the judges and prosecutors across my region, and I promise to do whatever I can to help improve the likelihood you will achieve the positive results you expect and deserve. To find out more about how I can best serve your needs, you can contact the Law Office of Jane Park by calling my office or visiting my website to receive a free initial consultation concerning your matter.